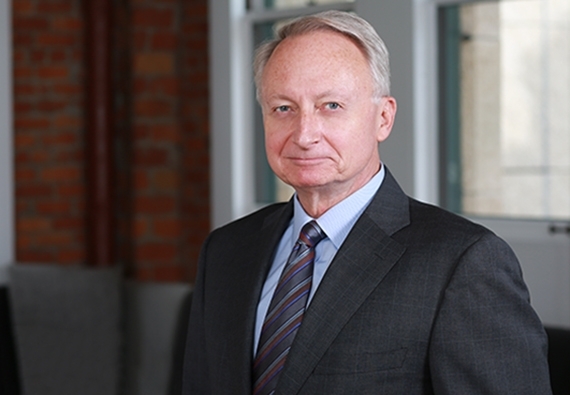 Chris Locke, a senior partner and former chair of the environmental law practice at Farella, has more than 30 years of experience counseling and representing clients in all aspects of environmental law, environmental litigation, and enforcement defense. He is a Fellow of the American College of Environmental Lawyers (ACOEL), a former Director of the Environment Law Institute (ELI), and is recognized by Chambers USA as a leading California lawyer in environmental law. Chris’ practice includes defense of federal and state enforcement actions, representation in actions involving CERCLA, RCRA, the Clean Water Act, the Clean Air Act, the Endangered Species Act, and other federal and state statutory and common law claims, as well as cost recovery litigation and citizen suit defense. An accomplished trial attorney and legal strategist, Chris also assists clients with regulatory compliance, permitting and representation, project development strategies, and NEPA/CEQA/land use proceedings and related litigation. Drawing on his experience as a former federal prosecutor, Chris’ practice includes internal investigations, grand jury representation, and defense of criminal enforcement actions. He is also a member of the firm's Product Law practice, emphasizing product liability defense, class action defense, product stewardship, and sustainability. Chris’ clients span a broad range of representation of both public and private interests, including energy, manufacturing, mining, real estate development, scientific research, technology, telecommunications, transportation, and wine businesses. Chris has been recognized by clients for his strategic approach, whether in trial or appellate courts, regulatory or land use proceedings, or long-term business planning and risk management. He is described by clients as an exceptional litigator and strategist, and has been commended for his skill and efficiency in understanding and achieving a client’s goals. Chris began his career as a Legislative Assistant to then-Congressman Christopher Dodd, and as a Research Analyst/Investigator for the U.S. House of Representatives’ Select Committee on Assassinations. Prior to private practice, Chris served as a Trial Attorney with the Criminal Division of the U.S. Department of Justice, and as an Assistant U.S. Attorney for the Northern District of California. Chris is a frequent lecturer and author on developments in environmental law, renewable energy, criminal enforcement and defense, trial strategy and evidence. He is also a former co-chair of Farella’s Diversity Committee, a former Director of Legal Aid of Marin, and a member of ELI’s Leadership Council. Honored by clients’ recognition of my depth and breadth of environmental law and litigation experience, and my strong advocacy, responsiveness, winning strategies and cost-effective results.